The Girl’s a Star Trailer: The Chaperone! Before Louise Brooks became the movie sensation of the 1920s, she was a just another kid with a dream. Given a chance to go to New York to study dance, she leaped at the chance – though curbed somewhat by the chaperone her mother insisted go with her. Written by Downton Abbey’s Julian Fellowes, The Chaperone opens in New York on May 29th and Los Angeles on April 5th before going wide. Royal Pains: Stuck in Traffic? 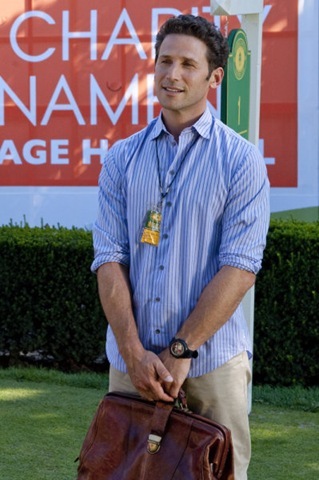 Season three of Royal Pains [USA, Wednesdays, 9/8C] returns, this week, with an episode called Traffic – appropriate not just for a traffic accident and a diagnosis that involves a woman who was stuck in traffic for five hours, but also for the ongoing events in the lives of the show’s main characters. TELEVISION: Royal Pains Returns with HankMed in Financial Trouble! 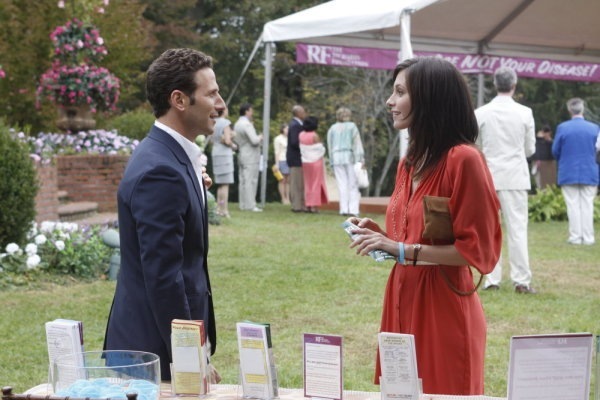 One of the endearing qualities of Royal Pains [Tuesdays, 10/9C] as it begins its second season tomorrow evening is that it’s all about its characters – where many medical shows are about their situations. Tomorrow’s premiere finds HankMed broke; Divya about to face a huge life change; Boris about to encounter health problems and Hank and Evan at loggerheads over the firm’s financial state. TELEVISION: Royal Pains – Introducing the Robin Hood of Medicine! Hank Lawson [Mark Feuerstein] is one of the best emergency doctors in New York City – which usually make him a keeper in one of the biggest hospitals in the city. When he decides to save the life of a neighborhood kid – after making sure an ailing benefactor of the hospital was stable – things go wrong and the rich benefactor dies. The guy’s family gets him blacklisted in every hospital in town so, after much urging from his brother [Paulo Costanzo], the two head off to The Hamptons – where Hank is introduced to the concept of concierge medicine. 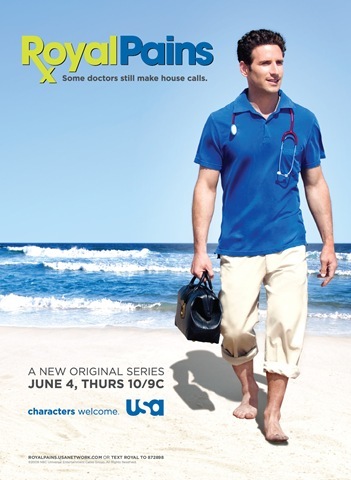 Thus begins USA’s new medical series with a twist, Royal Pains [USA, Thursdays, 10/9C – following Burn Notice].